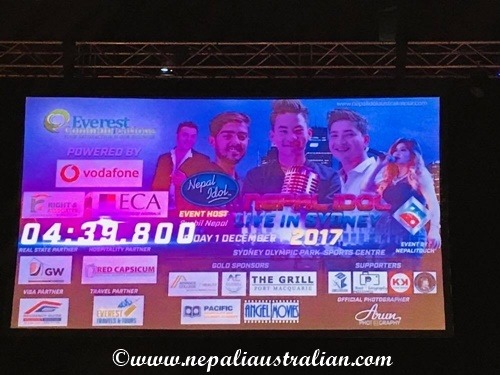 We went to watch Nepal Idol Live in Sydney on Friday, 1 Dec 2017. 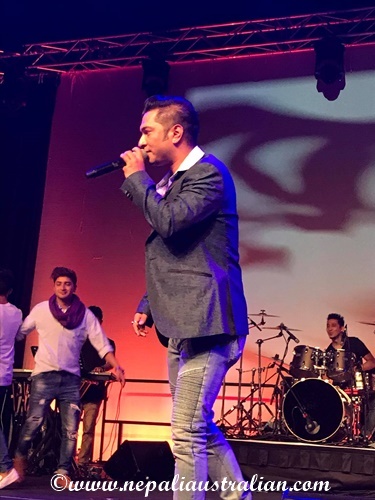 Nepal Idol 2017 is a Nepalese reality television singing competition that was a part of the Idols franchise created by Simon Fuller and owned by Fremantle Media. It aired on AP1 TV in Nepal. 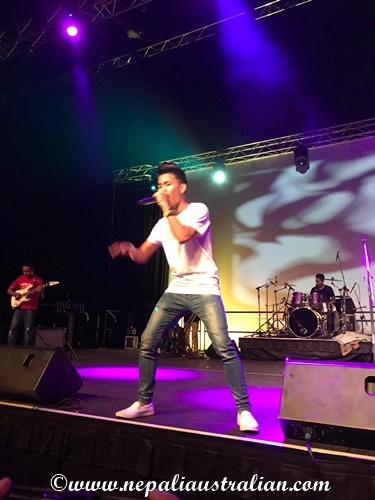 Nepal Idol Live in Sydney featured live performances from the first ever Nepal Idol “Buddha Lama”, Runner Up “Nishan Bhattarai”, Second Runner Up “Pratap Das” along with “Pramila Rai” who was top 7. After many years, Nepal Idol 2017 is the only Nepali show that we watched religiously on Saturday mornings on YouTube after it was telecasted in Nepal the day before. We started when it was top 12 and watched till the Finale. So when one of our friends got us tickets to the show, we were so excited. 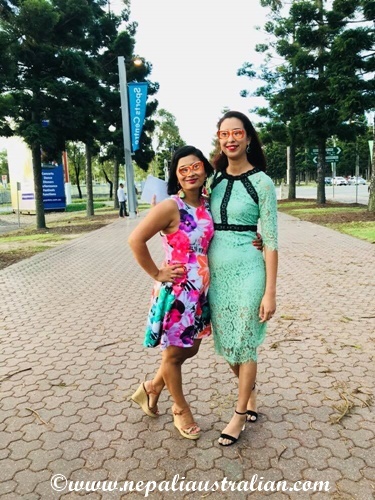 Initially, we were not sure if Chhori would be OK to be at the show so late so we were uncertain whether to take her. 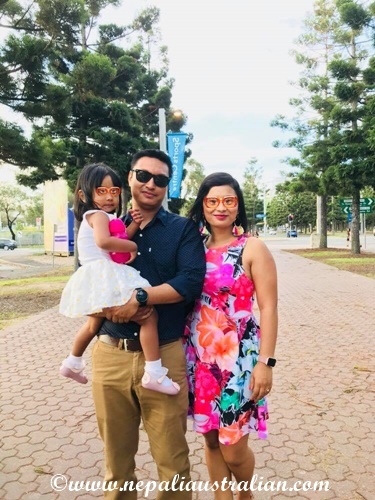 My SIL offered to baby sit Chhori if required but we decide to take her with us and it was the best decision. 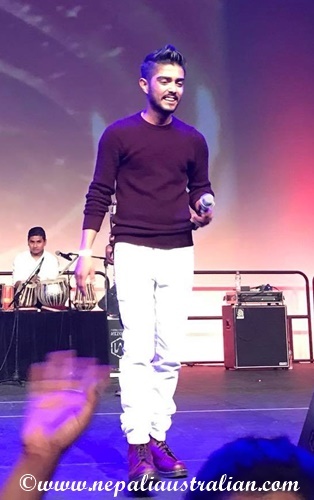 I told Chhori that Pratap Das would sing “Motorcycle ma…” song, when we told her about the concert the day before so when we got there she kept asking me, from the time that we sat down, when was the song coming. She just loves the song and dances and sings along every time we play it on Youtube. As it was Friday, we went straight after work so once we got there the first thing we did was to go and buy some momo and we enjoyed every bite of it. Chhori loved her momo too. Then the show started. It opened with a Chilean group followed by a few local dance groups and then the main event. For the first half of the show, Chhori was dancing along with every song. The people around us were watching her more than singers on the stage because she was showing off her moves even though she didn’t understand the songs. 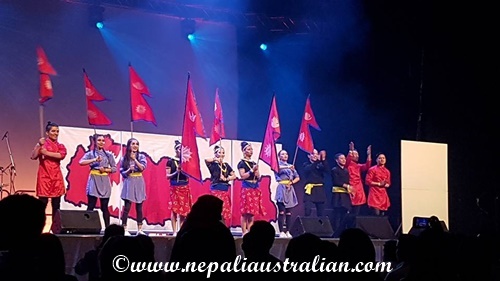 On the stage the Nepal Idols came one after another and we enjoyed the show immensely. At around 9:30 – 10 pm, Chhori got tired and went to sleep. So AS took her and I went with my friend to the front of the stage to dance and enjoy the rest of the show. Most of the songs in the second half were dance numbers so we danced along and enjoyed the songs. I have to say that it was a great show apart for the fact they started a bit late and we finished at midnight. 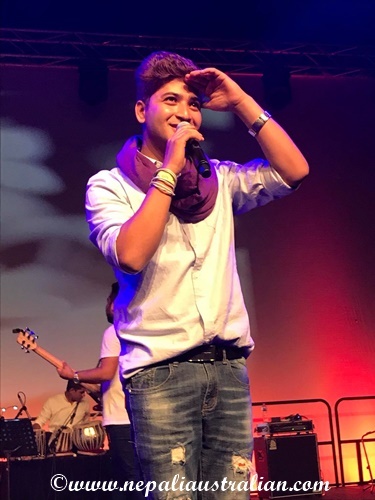 Out of all the performances, I became a fan of Pratap Das as he knew how to work the stage and interact with the audience. I am sure over time, the others will learn the skills too but vocal wise every one of them was brilliant. 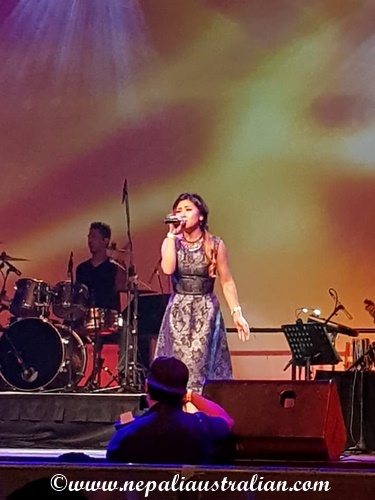 Overall, it was a great night for us and I am so glad that Chhori was so good with the concert that I am excited to plan many more in the future. 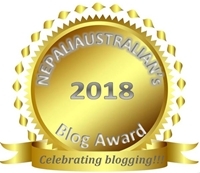 This entry was posted in Nepal and tagged BUDDHA LAMA, M from nepaliaustralian, NEPAL IDOL IN SYDNEY, Nepali, nepali australian, Nepali blog, Nepali Idol, Nepaliaustralian, Nishan Bhattarai, Pramila Rai, PRATAP DAS. Bookmark the permalink. I have been to American Idol tryouts in our county and love watching young people sing and perform.